OUT NOW "Overkill" https://musicalmadness.fanlink.to/Overkill "Lion" #33 in Dance Top 40 Finland "Your Mind" #53 in Beatport Top 100 (Electro House) AIZY > info@djaizy.com Bookings > ilonka@djaizy.com LAURA BRESA IS A TALENTED, 23 YEARS OLD DUTCH FEMALE DJ/PRODUCER, THAT STARTED LOVING ELECTRONIC MUSIC WHEN SHE WAS ONLY 12 YEARS OLD. SHE KICKED OFF HER MUSIC CAREER BY WINNING TWO BIG DJ CONTESTS FROM CLUB SAINT TROPEZ ROTTERDAM AND BLUE MARLIN IBIZA. PLAYING AT AMAZING PLACES LIKE ULTRA MIAMI, SPINNIN’ HOTEL DOORN RECORDINGS, MIAMI MUSIC WEEK, PRIVILEGE IBIZA, PAROOKAVILLE, SUNBURN FESTIVAL AND A WELL DESERVED PLACE IN THE FINNISH DANCE TOP 40 WITH HER ‘LION EP’ CATAPULTED AIZY’S MUSIC CAREER IN FULL THROTTLE! LAURA GRADUATED IN ELECTRONIC MUSIC PRODUCTION AND STUDIED AUDIO ENGINEERING AT THE SAE INSTITUTE. THIS HAS HELPED HER BRING HER MUSIC AND SHOWS TO THE NEXT LEVEL. AIZYS RELEASES HAVE DIRECTLY MADE IT INTO THE BEATPORT TOP 100 (ELECTRO HOUSE). 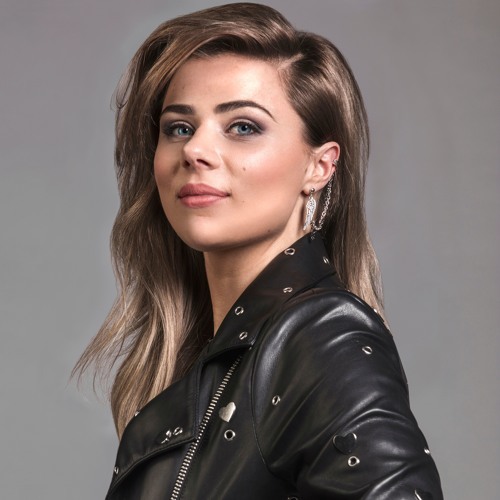 HENCE, HER MUSIC IS WORLDWIDE SUPPORTED BY MAJOR ARTISTS LIKE HARDWELL, AFROJACK, STEVE AOKI, NICKY ROMERO, YVES V, QUINTINO, SANDER VAN DOORN, LAIDBACK LUKE, AND MANY MORE. KEEP AN EYE OUT, BECAUSE AIZY IS ONE OF THE MOST PROMISING FEMALE TOP RISING ARTISTS TO WATCH!